Covenant Relationships: Does he know God? Do you know him? "I am getting tired of living with my husband. We dated for a year before we got married. He said he was a Christian and I know he attended a church in his area every Sunday. I never knew he had an alcohol problem. We've been married for over a year. He never stays at home. 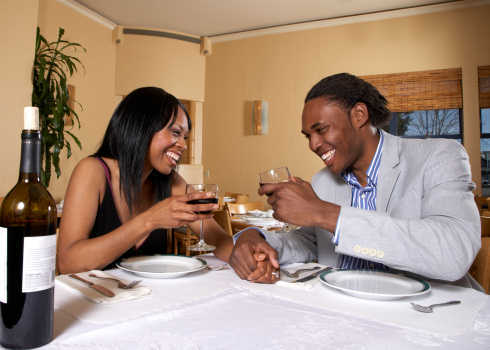 he will prefer to go and sit with other single men and drink, smoke and gist. He won't call to ask how we are doing. he comes home very late and leaves the house as early as possible. I am an attractive lady, even after a child, I'm still slim and take care of myself. He barely notices me. He never wants to pray and reading the bible is limited to when the pastor says we should turn to a particular scripture. All he wants is to do is watch T.V, drink and hang-out. I have picked quarrels with him and even threatened to walk out of the marriage. If he is sorry today, he gets worse tomorrow. My spiritual life has suffered. I no longer pray as much and I don't feel like going to church because tears come to my eyes when the pastor talks about the kind of love a man should have for his wife. I need attention and someone to talk to. Most of all I want to raise my son in a Godly atmosphere. I often cry at length and I am generally unhappy. It's like we are from two different worlds. I keep asking myself; is this man a Christian? In fact, was he ever a Christian?" In today's world, sometimes it seems as if being a Christian is in vogue. A Christian lady might be approached by many guys who claim to know God but in reality are just church goers who were born Christians and are not born of the spirit. If you have chosen to live a Godly life in this material world, it is hard but marrying a spouse who is uncommitted to his relationship with God will only make it harder. It is in a man's nature to pursue a desirable spouse and he would naturally do whatever it takes to win your heart. Unfortunately that often turns into pretending to be someone he is not. This is where our knowledge of the Lord starts. If you ever meet any man who claims that he is a child or servant of God and you cannot see the fruits/evidences of salvation in his life, such a person simply does not know the Lord. A man who knows the Lord will be a doer of God's word. He may not know the whole Bible but he will do the little he knows. That a man knows the Bible does not mean he knows the Lord (James 1:22-25). The sons of Eli were Priests of the Lord as it were, serving with their father in the ministry, but the Bible says in 1 Samuel 2: 12 “Now the sons of Eli were sons of Belial; they knew not the LORD.” Obviously, being Priests in the Temple, they knew the Law and Moses (the Bible), but they knew not the Lord. Don't forget Daniel 11:32, "They that do know their God shall be strong and do exploits." However as good as this is, it is not a good yardstick. This is because the power of God can still be in a life when God Himself is no longer there like it happened to Samson (Judges 16: 20b). To know God's ways is to know His principles, His will and His patterns. God's methods are not always the same but His principles are the same everywhere. (Exo. 33:12-17; Heb. 3:7-ll; Ps. l03:7). As you walk with the Lord, make it a priority to know the ways of the Lord. A man that does not know the ways of the Lord will enter into trouble with Him very often. The man who knows the ways of the Lord will always find grace in His sight. The trouble that the children of Israel had with the Lord was because they know not the ways of the Lord and thus they erred continually (Hebrews 3: 7 -11). This made God to swear that they will not enter His rest. Make up your mind today that you will know the Lord and it shall be well with you. Always remember, blessed is the man that walketh not in the counsel of the ungodly, nor standeth in the way of sinners, nor sitteth in the seat of the scornful. Like I said in "Born To Be Mrs," you are not born to be Mrs., you are born for God's Glory. Open your eyes ladies, but most of all open your hearts in submission to God so that he can fulfill the purpose of the covenant of marriage in your life.